I have graduated with BSc.Eng. 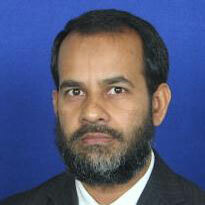 from Bangladesh University of Engineering and Technology in 1992. After that in 1996 I traveled to Bangkok to study M.Eng. at Asian Institute of Technology with DAAD scholarship from Germany. Then I studied PhD. at Nanyang Technological University, Singapore with a scholarship from Singapore Government and graduated in 2002. After PhD graduation, I worked there as a Research Fellow in the School of Mechanical and Production Engineering where I made a significant research contribution in micromanufacturing and microelectromechanical systems (MEMS). I have joined International Islamic University Malaysia in 2004 as an Assistant Professor and been promoted to Associate Professor and then Professor in 2007 and 2011 respectively. The main thrust of my teaching and research includes design of machine elements, mechanics, manufacturing processes, machining, micromachining, precision engineering and MEMS. A good number of PG students has already been graduated and presently several masters and PhD. students are working on their projects under my supervision. I brought a significant amount of research grant from ministry and as of today, I have published around 80 ISI/Scopus indexed journal articles. My h index is 9, 12, and 15 in Thomson Reuters, Scopus, and Google Scholar respectively. Since 2012, I am the Head to administer Department of Manufacturing and Materials Engineering with two undergraduate, two Masters, and one PhD programmes. About 50 male and female academic staff are from Malaysia and various part of the world. This blend of local and foreign staff and student makes the university environment more vibrant and competitive. As a head, my role is to maintain a conducive environment to remain competitive at national and international level through continual quality improvement. In the year of 2010-2012, engineering accreditation was found to be a critical issue where I have given a painstaking attention in introducing OBE in a more humanistic and wholehearted manner. As a result, in 2016, Engineering Accreditation Council through its quality assessment awarded the longest term accreditation (5 years) for Manufacturing Engineering Programme. Many of my colleagues asked me if there is any secret behind this success, I simply answered that this success is due to sincerity and scrupulous team work towards the esteemed goal. Finally, I am happy to say that I got excellent opportunities to study and work in different countries and cultures. My colleagues and friends are from the various parts of the world which give me an opportunity to be friendlier, communicable, approachable as well as to work in a team with different cultures, races, and native.